A sure way to determine that you are famous, or infamous for that matter, is when something you've done gets parodied as in the case of the “Amalayer” viral video of Paula Salvosa. While many parody videos of the fit thrown by "the rude passenger" at the LRT station have cropped up overnight, one of these stood out for featuring two Americans. Apparently fed up with the malicious intrigues that have continuously hounded her months-ago breakup with Derek Ramsay, Angelica Panganiban took to Twitter on Tuesday to set the record straight on some issues. 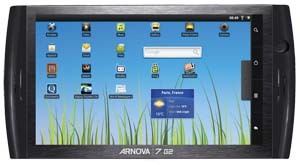 The Arnova 7 G2 tablet is a low-caste tablet computer. Unlike the more famous and more expensive tablets in the market, it has a low-end bearing and it lacks pedigree. The two weeks I have spent with this tablet, however, have convinced me of its ability to perform computing tasks just as capably as most other tablets. Nokia has announced that the Nokia Asha Asha 309is now available for purchase in the Philippines. The phones are the newest additions to the Asha Touch range and are Nokia’s most affordable capacitive touchscreen devices to-date. The single SIM Nokia Asha 309 gives consumers a smarter Internet experience thanks to Nokia Xpress Browser, which enables up to 90% more efficient mobile browsing and faster access to rich web applications compared to conventional browsers. Women who had the flu or ran a fever for more than a week during their pregnancy face a greater risk of having a child with an autism spectrum disorder, Danish researchers said Monday. The study was based on a survey of mothers of nearly 97,000 children aged eight to 14 and born between 1997 and 2003 in Denmark. Only one percent (976) of the children were diagnosed with autism. Researchers said that mild and common respiratory, sinus, urinary tract or genital infections, as well as feverish episodes or use of antibiotics in mothers during pregnancy were not a strong risk factor for autism.